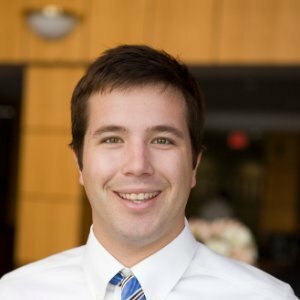 Nick Hassig is an Account Executive at Atlatl Software. As a Clemson Graduate, I couldn’t be more excited for the 2019 National Championship game at Levi’s Stadium in Santa Clara California. As my old college roommate and I have been evaluating different ticket options on StubHub over the past week, one of the unique features offered by the app is the ability to visualize your potential seat location before you actually buy the tickets. It’s a feature that’s been around for quite some time, and most consumers of sporting event tickets probably take it for granted at this point. Like most these days, my family does a significant amount of shopping through online retailers like Amazon. I’ve noticed a direct correlation in our likelihood to purchase a given product and the level of visualization offered in the buying process. In fact, we often forgo a cheaper alternative and will spend more on a product if we are able to visually experience it prior to buying. When booking a hotel or vacation, I’m far more likely to choose the option with the best renderings and images to help me visualize my potential experience. The ability to see and understand what i’m investing in gives me confidence in my purchase, removing doubt and helping increase my overall satisfaction. As visualization continues to dominate the world of B2C commerce, it is becoming increasingly evident that B2B transactions will be part the next frontier of this visual revolution. For manufacturers of complex Configured-to-Order or Engineered-to-Order products, telling a visual story in the quoting process can elevate them above the competition like never before. For instance, how much more likely is a warehouse owner to purchase a new racking system if they can visualize the potential solution in a 3D rendering as opposed to a 2D sketch? Manufacturers who aren’t investing in visual sales tools run a major risk of falling behind their competition. 2019 will mark the beginning of an arms race across all sectors of manufacturing to invest in these tools. If you’d like to learn more about becoming an industry leader in the visual revolution, don’t hesitate to contact the sales team at Atlatl Software.